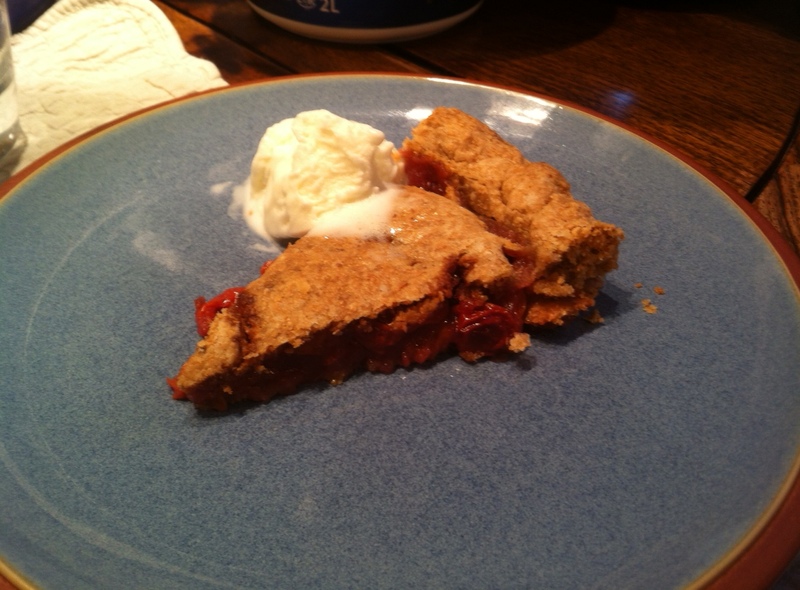 It’s that time of year again – That’s right, it’s pie time! 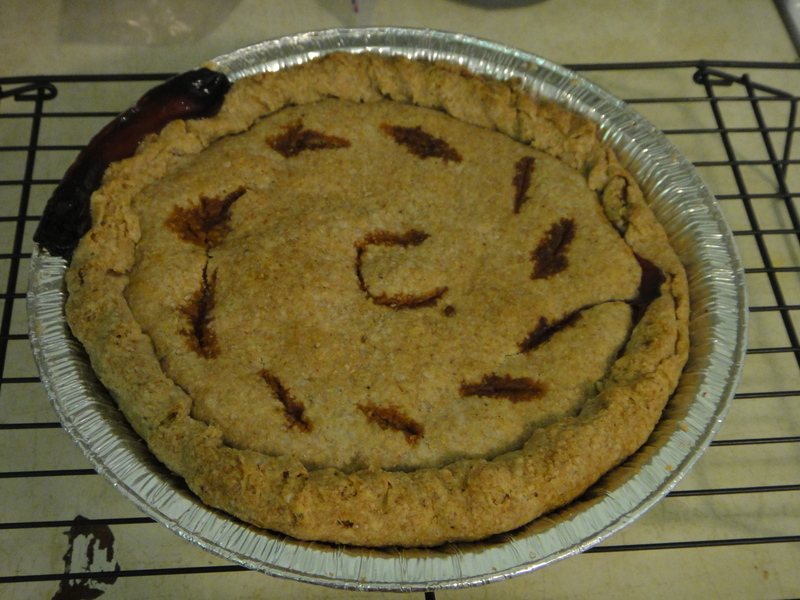 This year, I decided to try my hand at making my own pie crust, because, well, why not? To keep with my healthy grain intake as of late, I used Gold Forest Grain‘s Soft White Wheat. It turned out great! I put the flour, salt and sugar into a food processor. 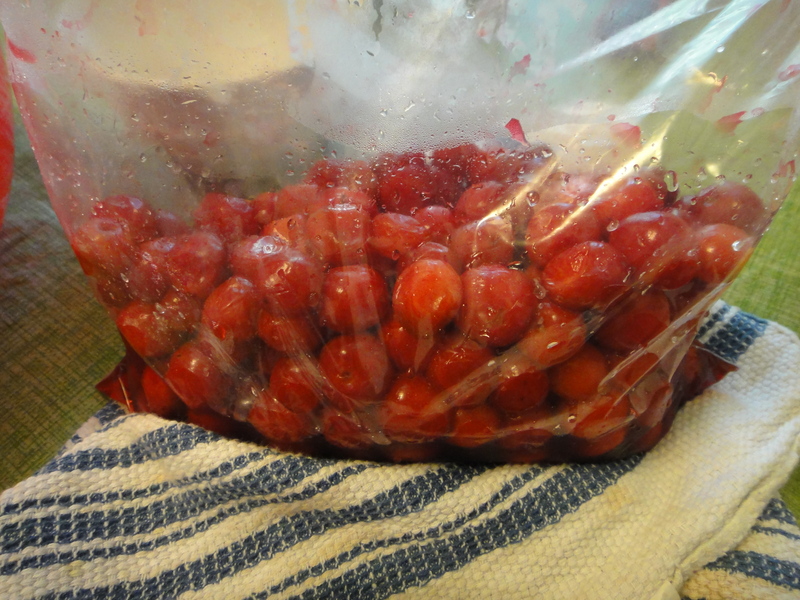 These Evans Cherries came from an Operation Fruit Rescue pick. I probably should have pit them before I froze them! If you don’t pit them before freezing them, they turn into a mushy mess! But in the end, it worked out. 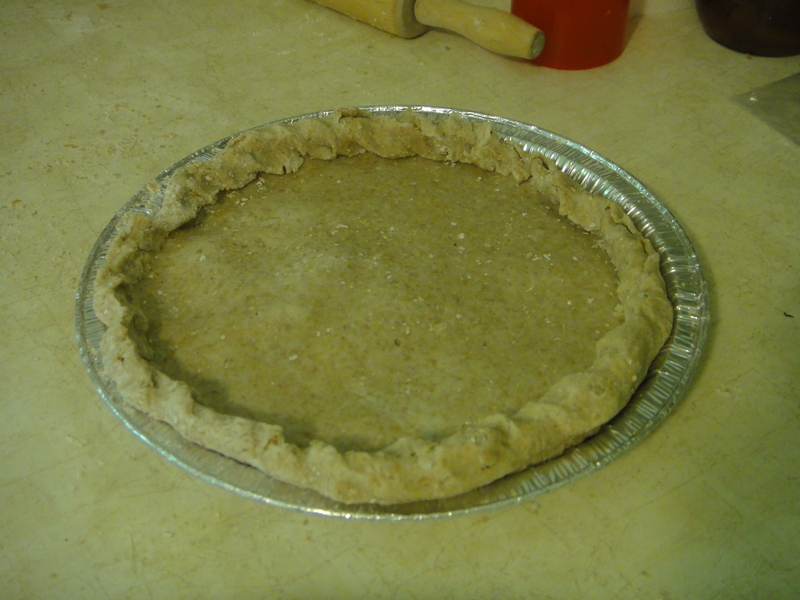 For the pie crust, I placed chunks of frozen butter in with the flour, salt and sugar. 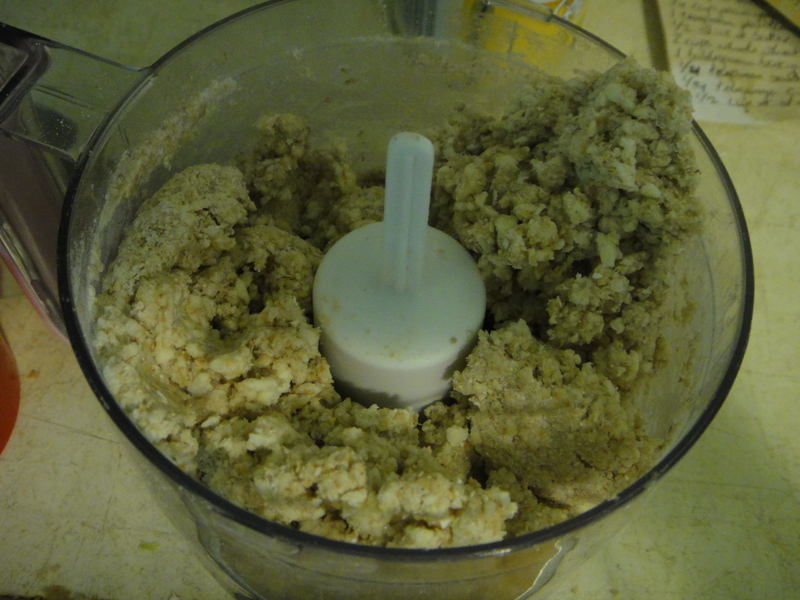 Once the butter was incorporated, add a tablespoon of ice water at a time, until it starts to clump together like this. Place in the fridge for an hour (or the freezer for 10 minutes), while getting the filling ready. The filling was super easy. 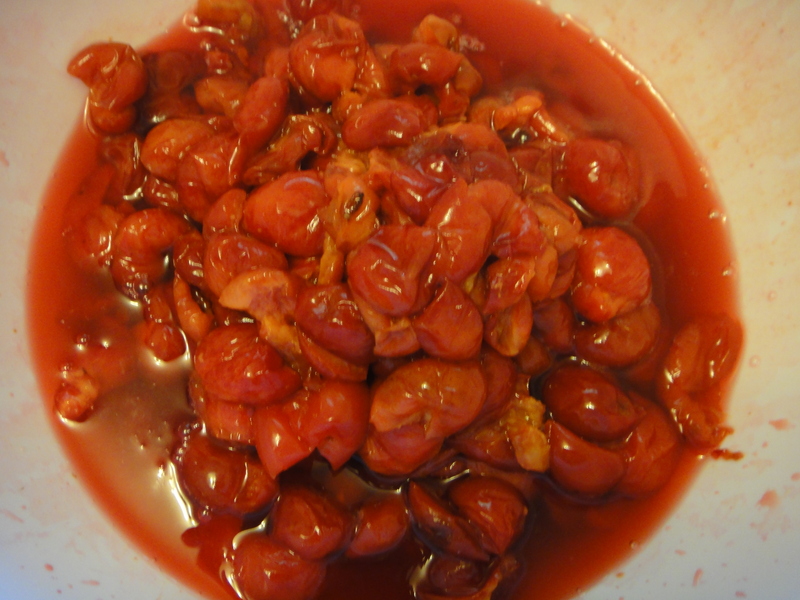 It was just some sugar, cornstarch and the cherries! Once the crust has had time to rest, roll it out. Add the top and fold the edges over to make a nice end to your pieces. 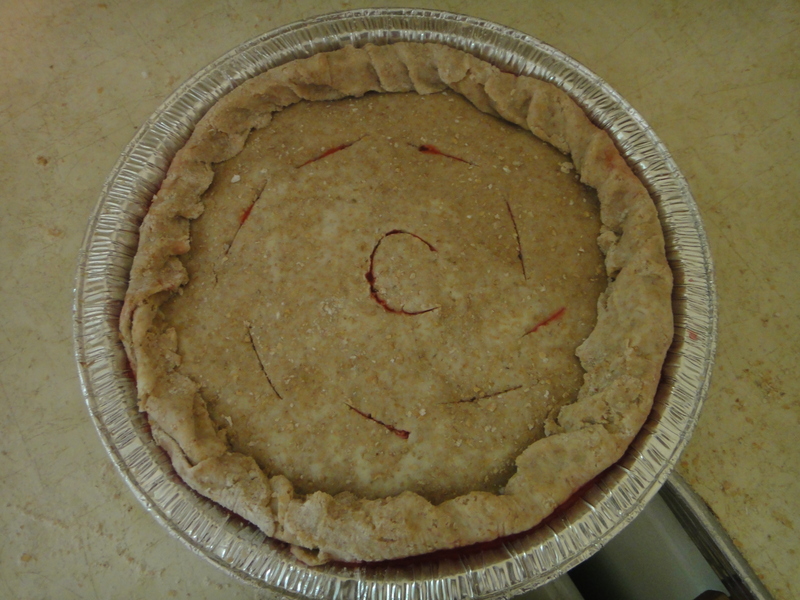 I decorated it with a C to remember which type of pie I made this time! Here’s the beauty, once baked. And a picture of a piece, with ice cream, of course! 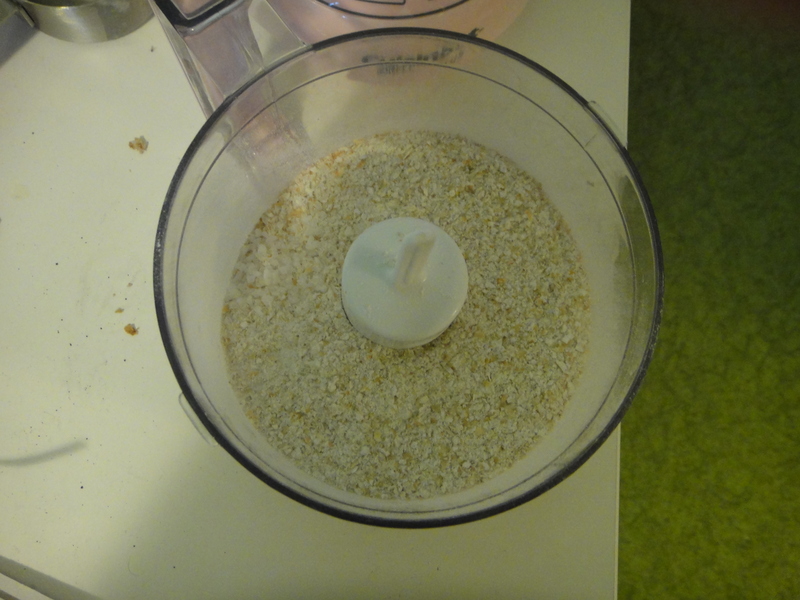 In a food processor combine the flour, salt and sugar. 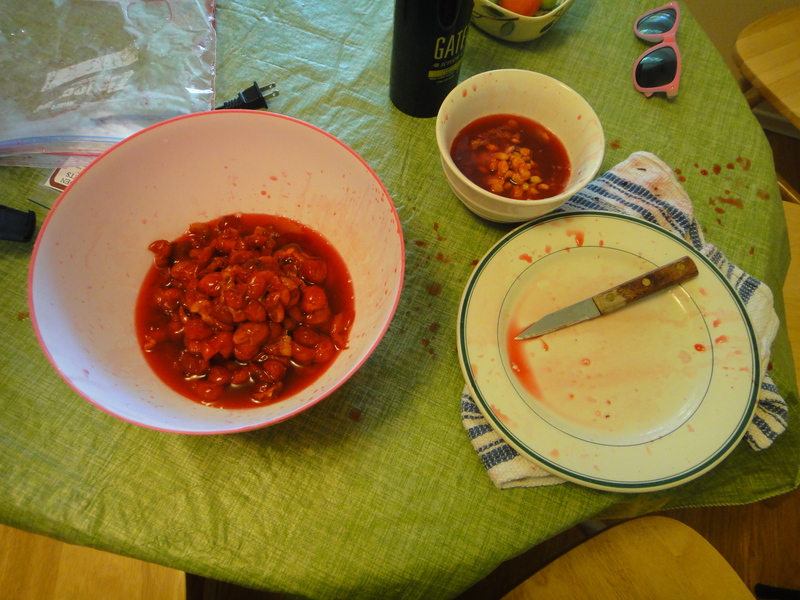 Blend to incorporate.Cut the butter in small pieces, making sure to not handle it too much. 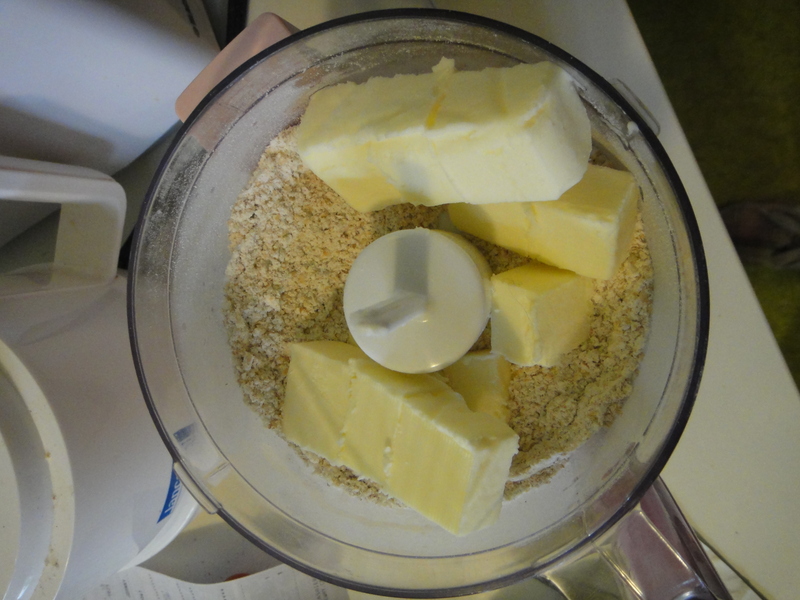 Add the butter to the flour mixture and pulse 6-8 times or until the mixture resembles a coarse grain. Do not over process. 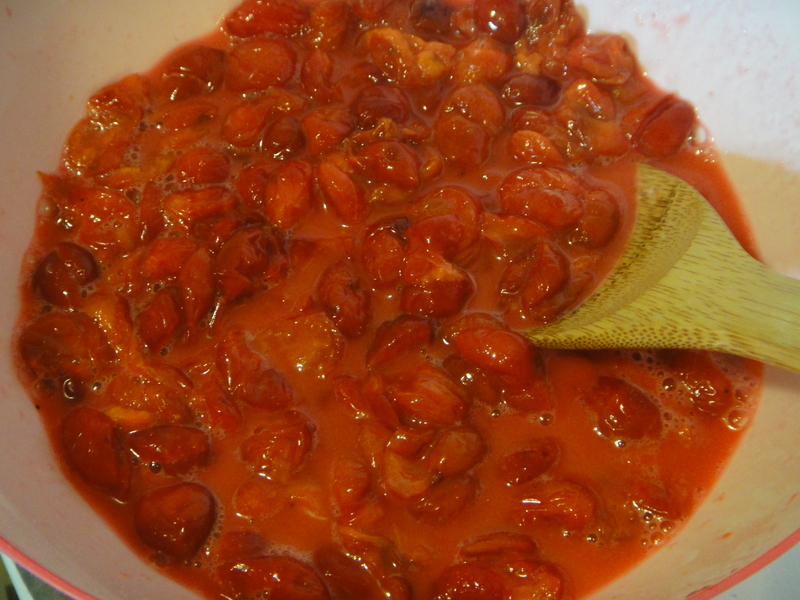 Add 1 tablespoon at a time of water and pulse. Continue to do this until the dough just begins to hold together without being wet or sticky. Again, do not over process. The dough should not stick together in a ball-shaped form. It should just begin to hold. 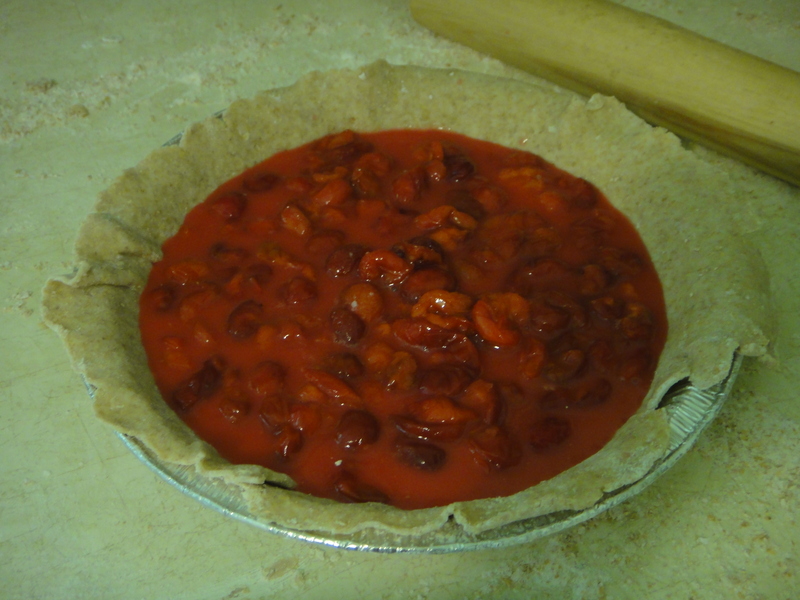 Once you’re at this stage, empty the dough “pieces” onto the counter and shape quickly into a rounded ball. Divide into four balls. Quickly shape each piece into a disc and wrap in plastic. Do not overwork. Place the dough in the refrigerator for at least 1 hour before using, or place in the freezer for 10-15 minutes. While waiting, combine all ingredients for filling. 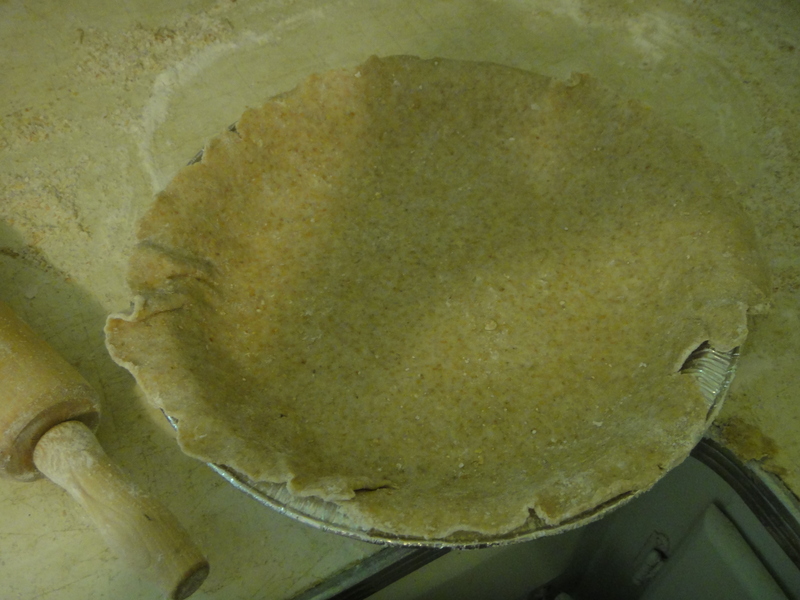 Roll out pie crust on lightly floured surface. Ad filling and top cover. Fold in edges and add vent holes to the top cover. Bake at 375 for about an hour, or until golden. Enjoy with ice cream or whip cream! Thank you for the compliment! I sincerely appreciate it!